PASO ROBLES, Calif., Sept. 25, 2018 /PRNewswire/ — Today, JUSTIN Vineyards & Winery opens a second Tasting Room location situated prominently on the square along Downtown City Park in Paso Robles. As the region continues to gain global recognition as an award-winning AVA, this expansion allows more visitors the firsthand opportunity to experience the renowned JUSTIN brand. 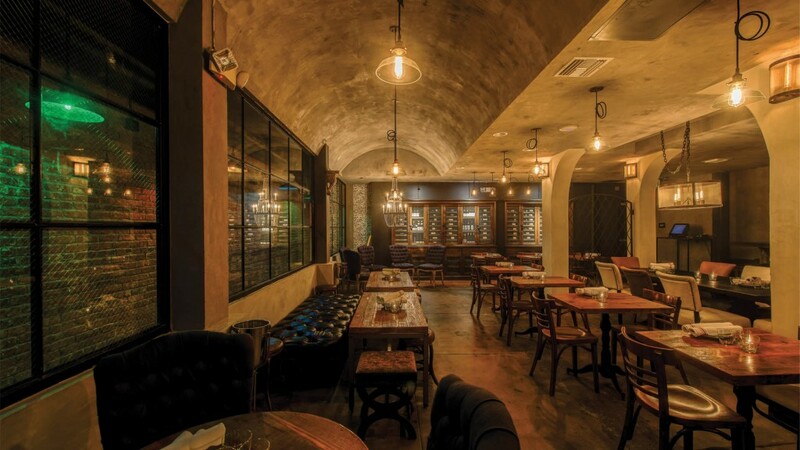 LOS ANGELES — Down a flight of stairs off Flower Street in DTLA, wine lovers push back a heavy rustic door under a muted sign and discover a hidden gem in D’Vine Lounge Bar. Previously known as D’Vine Wine Cellar, new owner Gerald Ferrante renovated the existing space to have an old-world charm with new wines where time is measured by the glass. The below-ground location is key to storing wine properly in a cool, controlled-climate, and creates the ideal setting for pouring, swirling, and toasting. Served by the glass or bottle, whites, reds, rosés, champagnes, sparkling wines, and on-tap labels, from 10 different countries with over 50 varietals, satisfy all varieties of aficionado. D’Vine Lounge Bar, located at 821 South Flower Street in Los Angeles (below O Hotel and Spa), opens at 4:30 p.m. on weekdays, and at 5 p.m. on weekends. Reservations are available at OpenTable.com or by calling (213) 262-8517. D’Vine’s ambience and atmosphere serves as a perfect rental venue for private parties (Holiday Season) and special celebrations (Bachelorette) before and during regular hours. Under the cover of soft lighting and rustic wooden elements, guests are invited to linger at the long bar, converse at communal tables, or sit comfortably in furnished nooks and private corners while discovering new wines or enjoying old favorites. 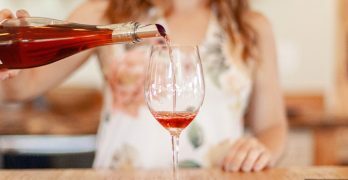 The wine selection at D’Vine features high-quality, dynamic wines ranging from affordable to expensive ($10-$18 per glass; $36 to $118 per bottle) from known labels to small wineries. Ferrante and his team choose wines to meet every palette and taste from fruity to earthly, from dry to oak with body that is light, medium or full. Each month, D’Vine introduces new wines to their collection so guests can try and discover something they have never had before. With the new renovation, Ferrante also installed special equipment that enables guests to enjoy even the most expensive wines by the glass. 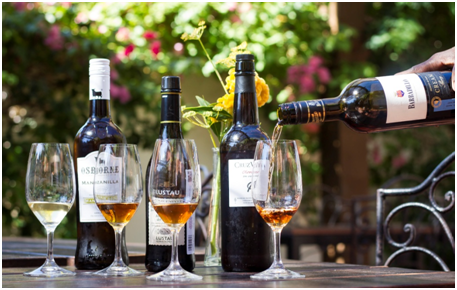 High-end wines are usually sold by the bottle as they spoil with oxidation more easily, and therefore guests could not sample these specialties by the glass. However, with this new tool, D’Vine can indulge guests with a wider selection of wine offerings. D’Vine staff sommeliers can help guests choose their wines based on what they have liked and would like according to their preferences. D’Vine guests can purchase by the glass, by the bottle and by “wine flights” – a three-wine sample customized per guest’s request or with consultative help by D’Vine’s expert wine stewards. D’Vine offers small plates designed to complement wine including rillettes, tartines, charcuterie (cold cuts), assorted cheeses, vegetables (pickled or marinated), house-made pates, and desserts. All food is prepared “made-to-order” from fresh and local sources. The food menu features staple items with new and seasonal options provided every few months so patrons can try something new with wine. Ranging from Zatar marinated Greek Olives ($4) to Tuna Crudo ($12), Avocado and Tomato Tartine ($8) to Kale Caesar Salad ($10), and selections from Charcuterie and Artisanal Cheeses (3 for $14 or 5 for $20), guests can also pair their wine with homemade chocolate truffles and daily sweet creations. Happy Hour offers food and drink specials including $6 wine and $5 beer, plus $6 Tartines. Wine and cocktails have similar characteristics that please the taste palate: acidity, sweetness and of course, body. In addition to quality wines, D’Vine serves guests with classic cocktails and specialties including Mojito, Manhattan, Cosmopolitan, Old Fashioned, Dry Martini, and Bloody Mary. Monday: 50% any bottle of wine + Happy Hour from 4:30 to 7 p.m.
Tuesday: Wine Flight + Happy Hour from 4:30 to 7 p.m.
Thursday: Live Music + Ladies’ Night + Happy Hour from 4:30 to 7 p.m.
Friday: Live Music + Happy Hour from 4:30 to 7 p.m.
Saturday: Live Music + Happy Hour from 5 to 7 p.m.
Sunday: Happy Hour from 5 to 7 p.m. Previously known at D’Vine Wine Cellar, new owner Gerald Ferrante renovated the existing space and updated the wine offerings to a global selection from 10 countries pleasing to the wine novice and the sophisticated palette. D’Vine Lounge Bar, a hidden gem located below O Hotel’s Bar + Kitchen restaurant off of Flower Street, tempers the underground desires of Downtown LA’s wine society where time is measured by the glass. Under cover of soft lighting and rustic wooden elements sit communal tables and comfortably furnished nooks, a long bar, and a wine list with over 50 varietals for all varieties of aficionado. D’Vine also offers the perfect wine complement in shared plate offerings of rillettes, tartines, charcuterie, assorted cheeses, vegetables (pickled or marinated), house-made pates, and desserts. D’Vine is the wine-lover’s destination, playable on first dates, long days, and social gatherings, and is available for private events. D’Vine Lounge Bar is located at 821 South Flower Street, Los Angeles, CA, 90017. Hours are 4:30 p.m. to 11 p.m. on Monday through Thursday, from 4:30 p.m. to Midnight on Friday, from 5 p.m. to Midnight on Saturday, and from 5 p.m. to 11 p.m. on Sunday. Reservations are available at OpenTable.com or by calling (213) 262-8517. D’Vine’s ambience and atmosphere serves as the perfect rental location for private parties and special celebrations prior to and during regular hours of operation. View menus and gallery at www.dvinela.com and like us on Facebook (@dvineloungebar), Twitter (@dvinedtla) and Instagram (@dvinedtla). and like us on Facebook (@dvineloungebar), Twitter (@dvinedtla) and Instagram (@dvinedtla). What is making the tenth Vine 2 Wine the new CLASSIC? 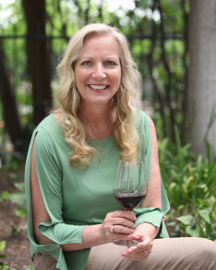 It’s not classic because it’s a decade old, it’s now the CLASSIC because the wine chair, from the former SCV Wine Classic, Jeff Jacobson, has joined Circle of Hope’s event committee. Julie, Joan and Jeff Jacobson. Within a matter of weeks Jeff has gone from a half a dozen tables wine pouring tables to over thirty-four. He has also successfully attained for this event what only the classic was known for: Local wine collectors opening their own library wines, from their own wine cellars, and donating them to the fundraiser. 1. Thanking the wine god Bacchus (and me for making the call!) for delivering you to Circle of Hope Jeff…tell Beacon readers what will be new for Vine 2 Wine attendees? Well, first of all it’s a huge increase in just the number of wineries on board. Several are wines that are hard to come by, and seldom participate in these events. 2. In the past the Classic library wine tables were pretty darn awesome. You could stand by off and on during the event and be guaranteed something new to taste every few minutes. There might have been a case of one particular wine, but most of the collectors were pouring vertical flights (the same wine through the years), wines that were more than a decade old and some very rare bottles. It was also extremely informative learning what they chose to collect and why. So, Jeff, do you have any clues for guests what they might get to taste, in looking back at your ten years arranging these tables? Absolutely true! We are “bringing back the Wine Classic’! People are contributing rarities from the their cellars with similar wines from the last wine classic. Older Bordeaux, Pinot Noirs and Cabernet. In past years guests had Sea Smoke, Opus One, Bryant Family, Quintessa, Ducru Beaucaillou, Chateau Guiraud, Gruaud Larose, Dunn, Phelps Insignia, Kenwood Artist, Donhof eiswein, Burgundy 1er Cru, etc. to name a few. 3. Tell us about your larger wine sponsors, Kevin Byrne of Wine Warehouse, John Burton of Southern Wine and Spirits, what can we expect from them? Kevin and John will have a combined dozen wine tables of outstanding wines. We are grateful for their support in making Vine 2 Wine the new Classic. 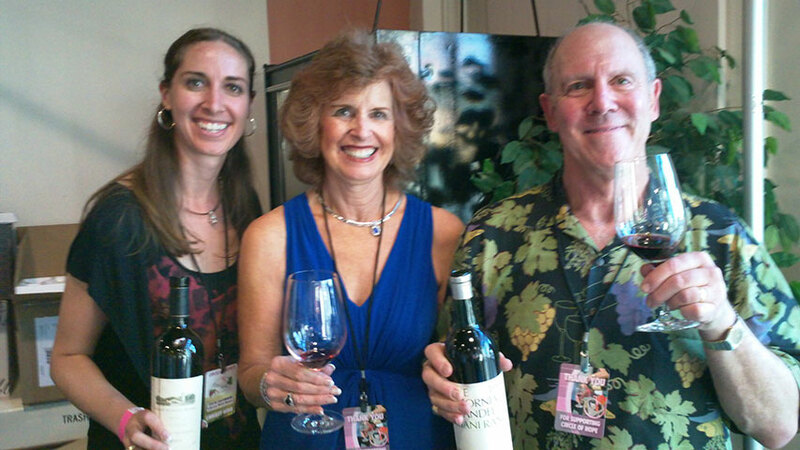 The wines they will share represent both domestic and imported examples of well-known wineries. 4. How about telling us a little about the other unique wines guests will be sipping? 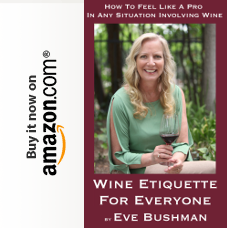 I’ve had a lot of fun purchasing dozens of wines to be poured at tables including large selections of sparkling wines, white wines and red wines, all from around the world. I even purchased 3 magnums (I like to purchase older wines as I believe they can be smoother) of 2006 Silver Oak. I purchased wines from Australia and New Zealand and even found some South African wines I want our guests to try. South African wine making was featured in the last Wine Spectator magazine as the new go-to country for wine. 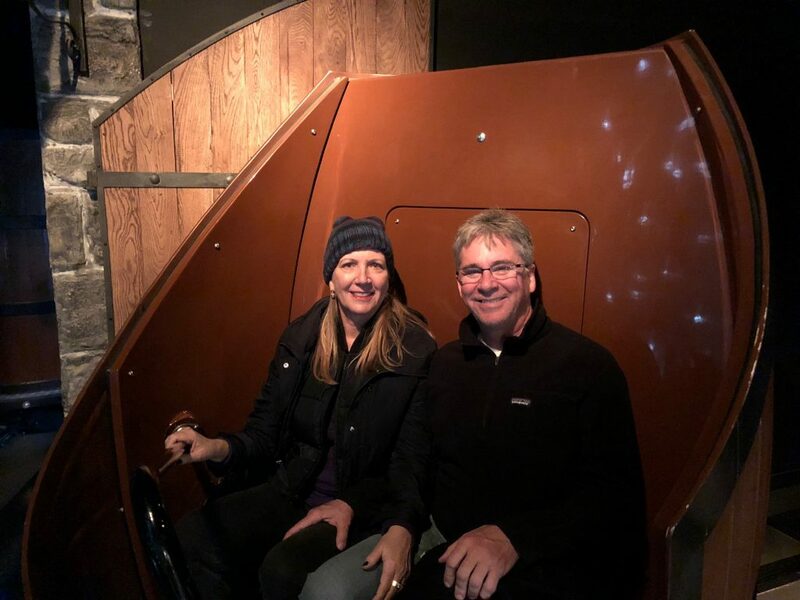 My wife Joan and I, in our last trip, tasted some of the wine varietals, like Pinotage and Chenin Blanc, which our guest will have at Vine 2 Wine. And, another unique item about our event are the local artisinal winemakers from the SCV Vintners and Growers Association, pouring their own handcrafted wines. Some of the grapes are harvested from Santa Clarita and some are from Paso Robles. And, is the case for home winemakers, only some will be available for purchase. It’s also another opportunity to meet and speak to local winemakers. One local winemaker, and the owner of The Cellar, DiMaggio Washington, will pour his own Port as well some fortified wines. As a teaching sommelier and he can answer all your questions about what he is serving. 5. Any closing thoughts you’d like to share? Helping each other, helping our community, fundraising for a valuable cause, and at the same time marketing some wonderful wines – makes this event worthwhile for the hundreds of members of our community that will have the opportunity to attend, taste and purchase…something Classic.